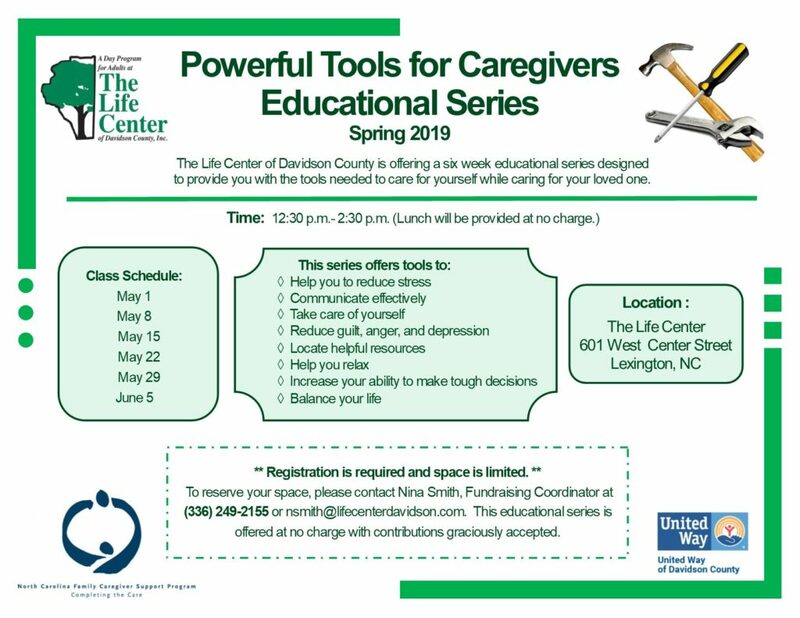 The Life Center of Davidson County is offering a six week educational series designed to provide you with the tools needed to care for yourself while caring for your loved one. 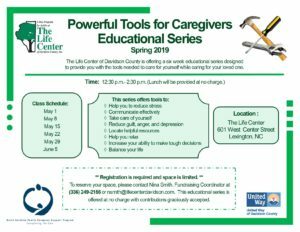 Registration is required and space is limited. 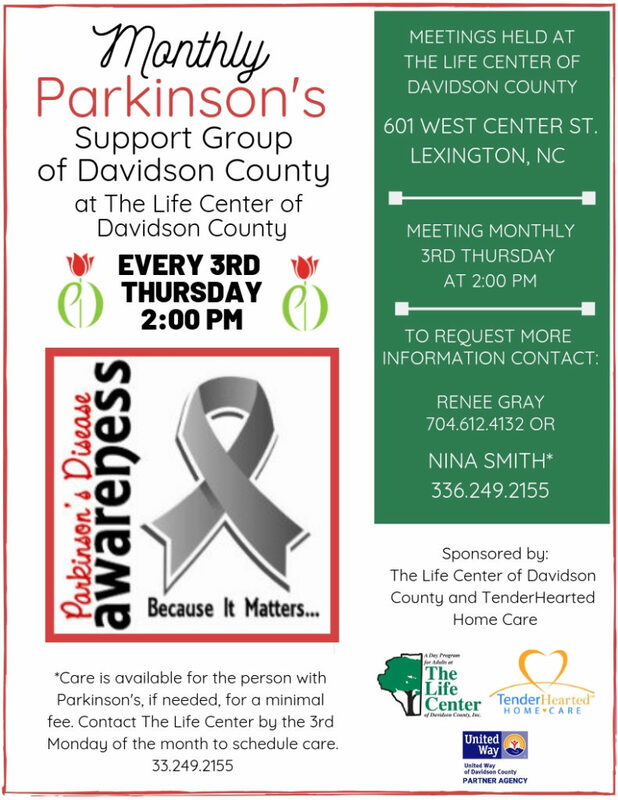 To reserve your space, please contact Nina Smith, Fundraising Coordinator at (336) 249-2155 or nsmith@lifecenterdavidson.com. 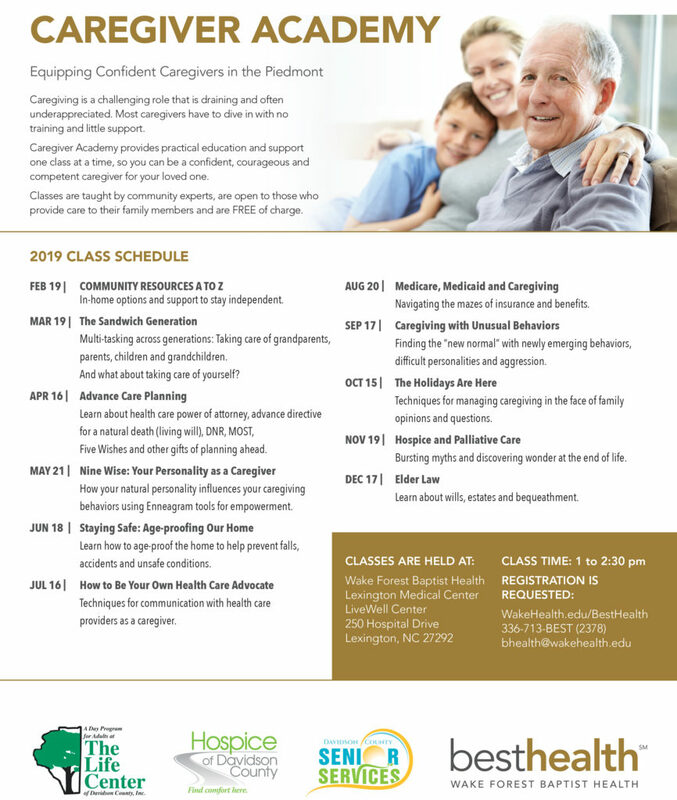 This educational series is offered at no charge with contributions graciously accepted. 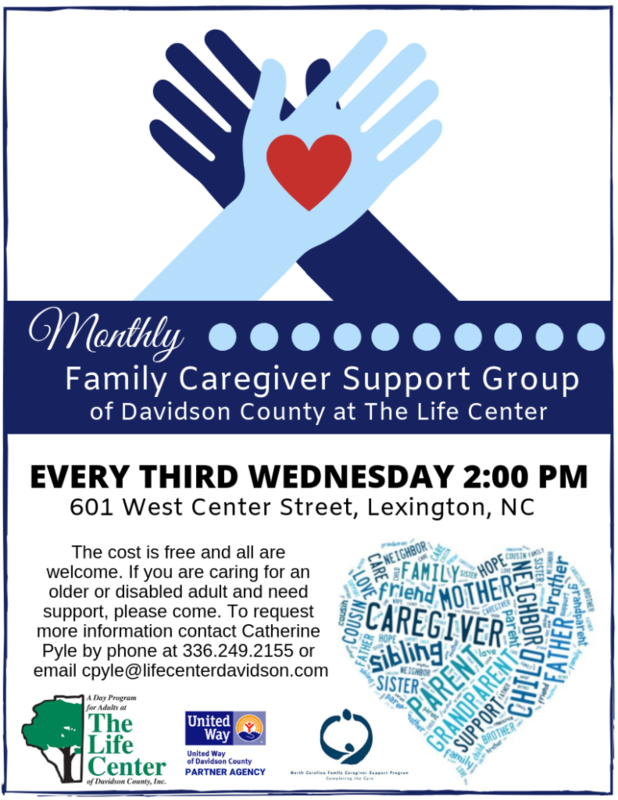 Lunch will be provided at no charge.